Beginning with the 2018-19 school year, Fort Bend ISD will no longer print and mail progress reports and reports cards. Parents/guardians will be able to access their student’s grades through Family Access and will be notified via email when they are available to view. Online report cards will reduce printing, mailing and administrative costs, and will allow the District to communicate with parents more quickly and effectively. Parents will have the option to request a paper report card, if they choose to do so. More information will be provided in August. 2017-2018 Online Registration for is now available for all new incoming students. To determine your child's zoned campus, parents can use the School Finder tool. To begin the 2017-2018 registration process, visit the New Student Online Registration webpage, complete an online application, and then call your zoned campus schedule an appointment for face to face registration. Spaces for all eligible students will be available in the prekindergarten program, but please be advised that students will be scheduled for the morning and afternoon sessions based on availability. Seats will not be held because of missing documents; therefore, it is important to present all necessary documents at registration. Proof of residency such as a current lease, or current month’s mortgage statement. Proof of residency must be dated within 30 days of enrollment. For dual residency and multi-family households, all adult members of the household must have an updated driver’s license (or other government provided photo ID) that reflects the homeowner’s address within the FBISD boundaries. Dual/Co-residency and multi-family applications will be processed beginning August 2017. One current utility (gas, water or electricity) bill. For new Fort Bend residents, a utility work order will be accepted. Child’s health record/immunization record.Immunization requirements. Unemployment, Worker’s Compensation or Disability payment stub. Last year’s tax return (self-employment). A letter from the employer stating wages paid and frequency. Four years ago, Ridgegate Elementary began an initiative to transform our campus into an emptionally safe and relationally connected place for students, staff, and parents to come alive with a love for learning. 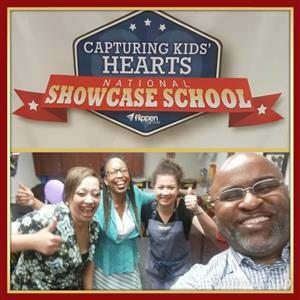 As a result of our efforts, Ridgegate has been nominated by the Flippen Group to receive a Capturing Kids' Hearts National Showcase SchoolsTM award for the 2017-2018 school year. We are proud of our school community in working with us to achieve this accomplishment. Your feedback and commitment to excellence is what helps us achieve greatness! For the safety of our students, please drop off all car riders on the side lot of the school (between 7:30 and 8:00 am-not in the front driveway. The front driveway is for school buses and daycare only. By getting your child to school between 7:30 and 8:00, they have time to eat breakfast and sit down in the classroom to prepare for their busy day ahead. Please do not dropoff your child in the street as it increases traffic congestion. Please respect your neighbors and refrainfrom blocking their driveways and streets. PK AM Pick up and PM dropoff is on the side lot of the building. Please do not park in the front or block the fire lanes. General dismissal will begin at 3:25pm for all students. Walkers are dismissed first followed by car riders. Please respect your neighbors and refrain from blocking their driveways and streets and/or standing in their yards. In meeting walkers, please wait at the bike rack and not the doorways as it creates an unsafe congestion. 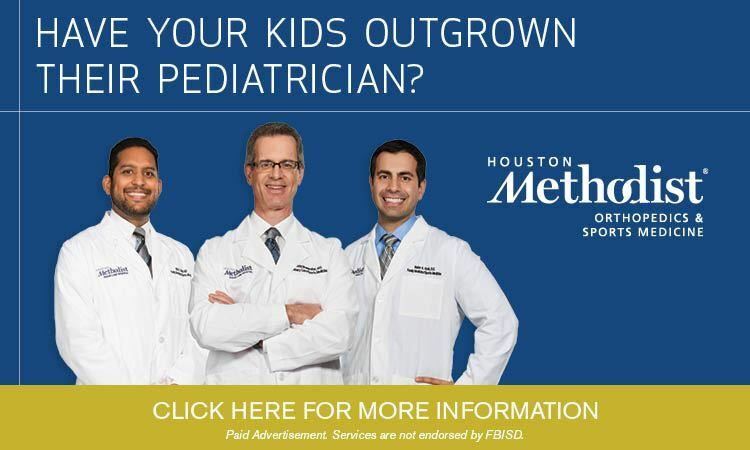 Beginning August 8, 2017, parents may visit www.fortbendisd.com and login to Family Access to update their student’s information forms. Please note, these forms are required for all students both returning and new to Fort Bend ISD. The link to the Flyer and directions is below. Update your student's information online! Verify/update parent contact information and more. Provide names and contact information in case of an emergency. This checklist accompanies the Student Handbook and addresses the directory information, photo release and your child’s digital citizenship. The Texas Legislature requires school districts to report the enrollment of students who have parents or guardians in the military. New for 2017-18 School Year! Grab & Go breakfast option now available for students, from 8 a.m. until 8:30 a.m. There is no sign up necessary and no cost to you.